Known for its location, business climate and quality of life, Waukesha County has something to offer everyone. The City of Waukesha’s downtown area offers urban-style living and amenities in a compact, walkable environment filled with historic buildings dating back to the late 19th century. The western portion of Waukesha County is often referred to as “Lake Country” for the more than 20 lakes, large and small, which offer fishing, boating, swimming and other recreational opportunities. 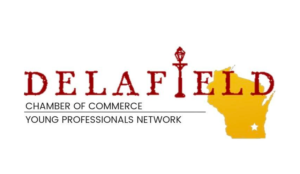 Other cities, towns and villages such as Menomonee Falls, Mukwonago and Muskego offer their own history, culture and downtown or town center areas, making Waukesha County an exciting place to live, work and play for young professionals. What’s more, Waukesha County is just 15 minutes from Milwaukee, an hour from Madison and just over two hours north of Chicago. We’re the perfect distance from everything that’s happening. Waukesha has a variety of career opportunities. A welcoming business climate means that if businesses want to start or grow in the area, local governments will do what they can to help. The area also boasts some of the best K-12 schools in the state and offers excellent post-secondary options like Waukesha County Technical College and Carroll University.